We're all pretty excited about the Red Bull-sponsored supersonic, stratospheric jump that Felix Baumgartner will be making this weekend. And while Baumgartner will likely be setting all sorts of man-outside-of-an-airplane speed records, it's worth looking back at the man who did it first, back in 1966. Even if doing it was probably the last thing he wanted to do. Bill Weaver was the man, and Bill Weaver was a test pilot for Lockheed. 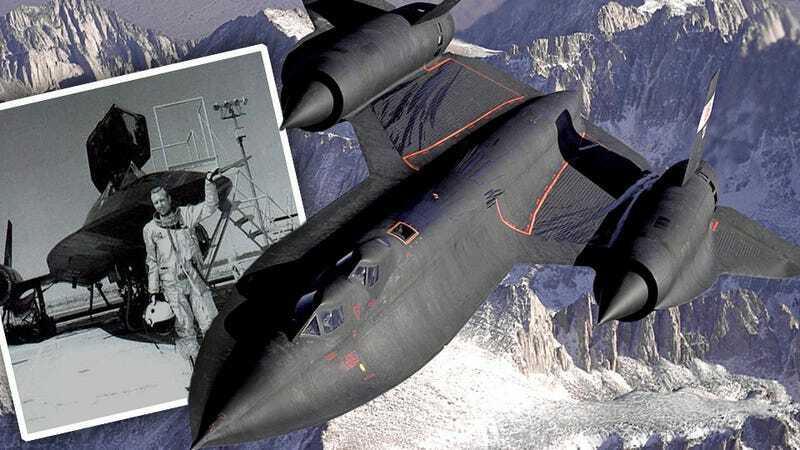 On January 25, 1966, Weaver and a systems specialist named Jim Zwayer were testing a slightly modified SR-71 Blackbird, a spyplane capable of flying three times the speed of sound. This particular Blackbird had its center-of-gravity moved aft so new procedures to reduce drag and improve performance could be tested. This alteration also made the plane less stable longitudinally. While in flight at Mach 3.2, the inlet to the right engine developed a malfunction. At supersonic speeds, air inlets to the engines are complex things, with variable intake portal sizes and all manner of complex pathways to slow the intake air speed to subsonic before contacting the engine. If things go wrong, the engine can "unstart" which I suppose is like shutting down, only far, far more violent, as supersonic shock waves are caused by the condition. From what I can tell, it seems like having a localized hurricane in an engine. To nobody's delight, this is what happened to the right engine just as Weaver was entering a right-hand bank. The loss of engine thrust on the right caused violent yawing of the plane, and nothing Weaver could do with the controls could stop it. Before he could even radio to his specialist right behind him to try and avoid ejecting until they'd slowed down and lost altitude, the plane started disintegrating around them. 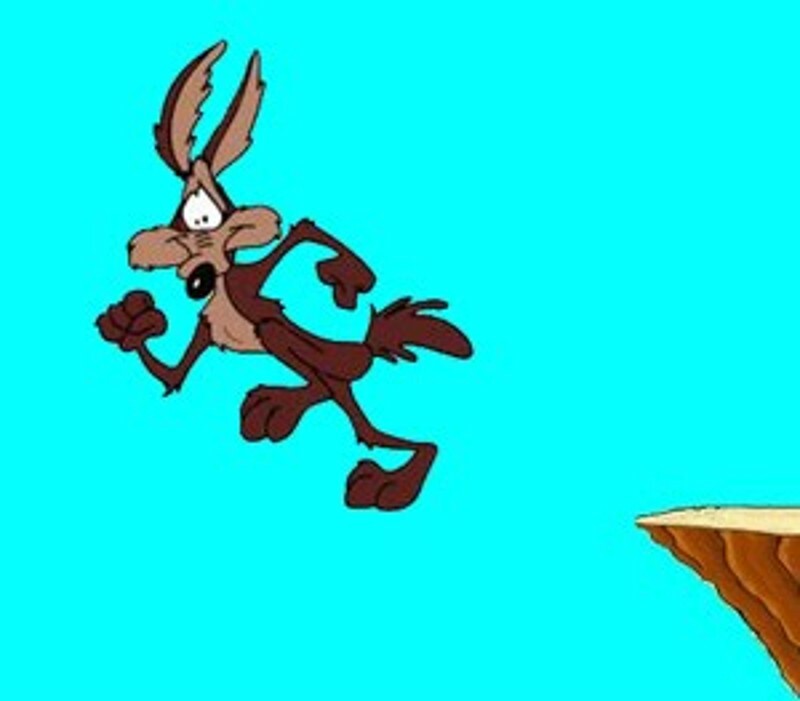 It seems like a Wile E. Coyote-type of situation— flying faster than sound as your aircraft breaks away around you, leaving figure floating in the air, oblivious of the danger. Except it wasn't anything like that. It all happened within two to three seconds, and was incredibly violent. Weaver never even ejected from the plane— the plane just went away. Luckily, his pressure suit inflated and his small guide parachute deployed, his inflated pressure suit acting as a sort of "escape pod," as he called it. My next recollection was a hazy thought that I was having a bad dream. Maybe I'll wake up and get out of this mess, I mused. Gradually regaining consciousness, I realized this was no dream; it had really happened. That also was disturbing, because I could not have survived what had just happened. Therefore, I must be dead. Since I didn't feel bad–just a detached sense of euphoria–I decided being dead wasn't so bad after all. AS FULL AWARENESS took hold, I realized I was not dead, but had somehow separated from the airplane. I had no idea how this could have happened; I hadn't initiated an ejection. The sound of rushing air and what sounded like straps flapping in the wind confirmed I was falling, but I couldn't see anything. My pressure suit's face plate had frozen over and I was staring at a layer of ice. My next concern was about stability and tumbling. Air density at high altitude is insufficient to resist a body's tumbling motions, and centrifugal forces high enough to cause physical injury could develop quickly. For that reason, the SR-71′s parachute system was designed to automatically deploy a small-diameter stabilizing chute shortly after ejection and seat separation. Since I had not intentionally activated the ejection system–and assuming all automatic functions depended on a proper ejection sequence–it occurred to me the stabilizing chute may not have deployed. Unfortunately, Jim Zwayer was dead, his neck broken almost immediately as the Blackbird broke up around him. Weaver was, incredibly, uninjured. A local rancher in a cowboy hat and a helicopter landed by Weaver, and took him to a nearby hospital. Weaver was back testing Blackbirds two weeks later, and continued a long and successful career as a test pilot. In fact, after he retired, he continued to fly Orbital Science's L-1011-based Stargazer aerial rocket launching aircraft.